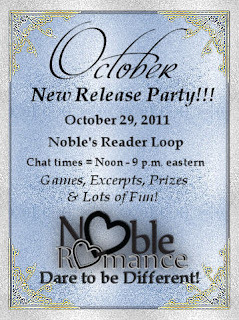 Noble Romance Release Party! Games, Fun, and Prizes! Win A Kindle! 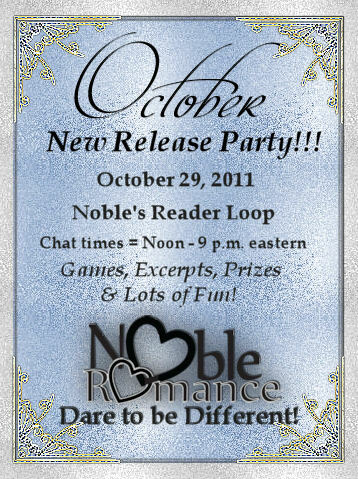 Join me at The Noble Romance Publishing Release Party Celebration! I'll be giving away up to $25 in Noble Romance Gift Cards, releasing excerpts, and every participant today gets entered into a drawing for a Kindle! The festivities are all day, with a host of fabulous authors giving away their own loot. So drop in! Read! Win! SPOTLIGHT + GIVEAWAY: Kacey Hammell's SINFUL is now available!